A lesson in local history. 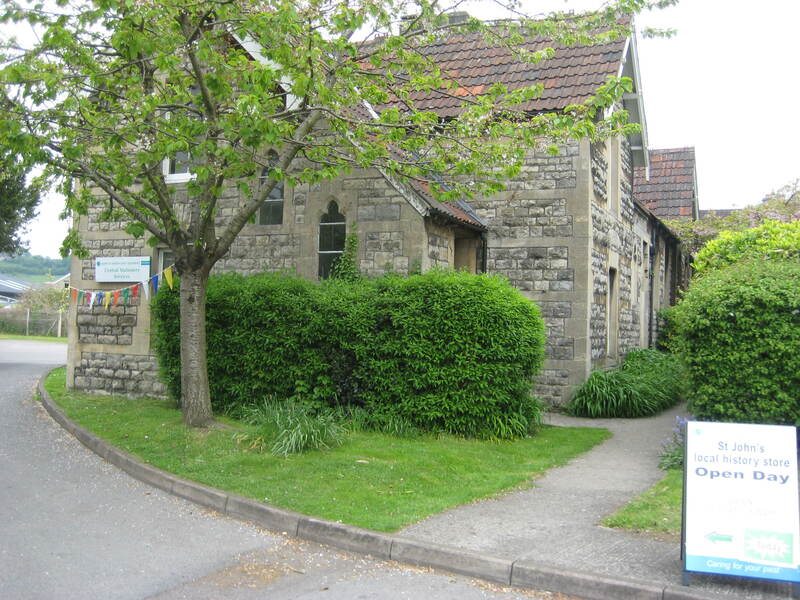 St John’s Local History Store. Hidden away inside an old school on Bath‘s Upper Bristol Road is a collection of fascinating artefacts that, hopefully, one day will form part of the permanent collection of a real Museum of Bath. It’s now known as the St Johns local history stores and sits at the junction where the main road out-of-town meets Locksbrook Road. Judging by how empty it was of visitors, very few people may have realised its been open today to the public – until 3pm this afternoon. Those who miss it will have to wait until 12-15th of September when the stores will be one of many venues generally unseen that will be open for Heritage Days. Model of Roman Baths complex. 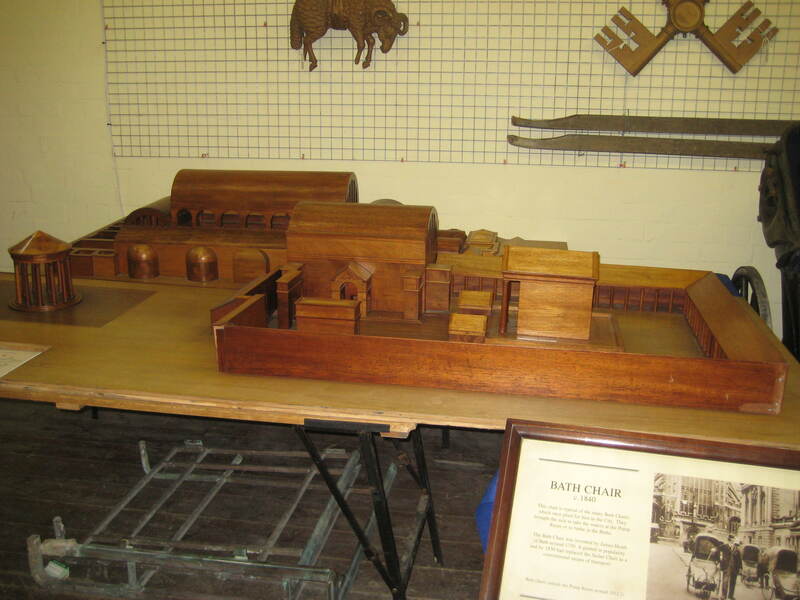 I wandered amongst wooden models of the Roman Baths and the Pump Rooms and pieces of equipment rescued from the city’s old spa water treatment centres. A couple of examples of needle douche – used in treatments available from the 1870’s through to 1976 – which provided an all round shower produced from fine needle-like jets of spring water. 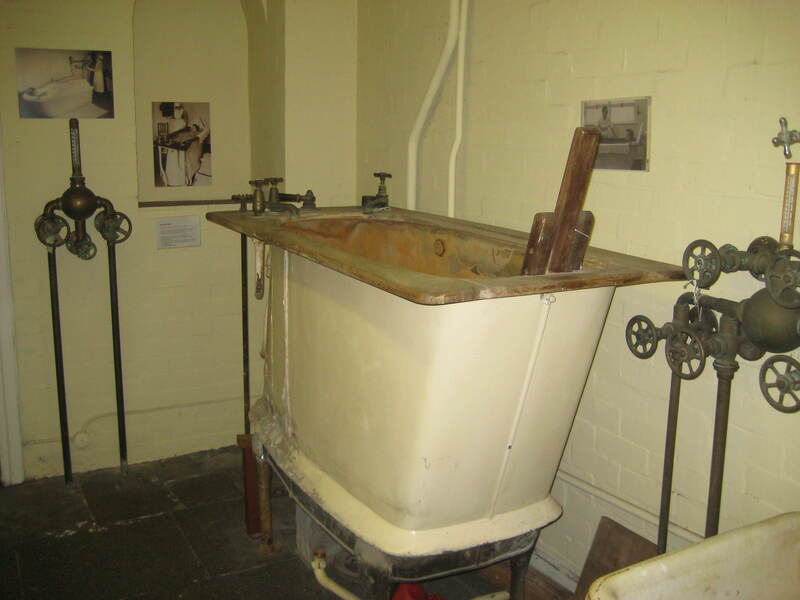 Also an aeration deep bath which worked like a modern jacuzzi. 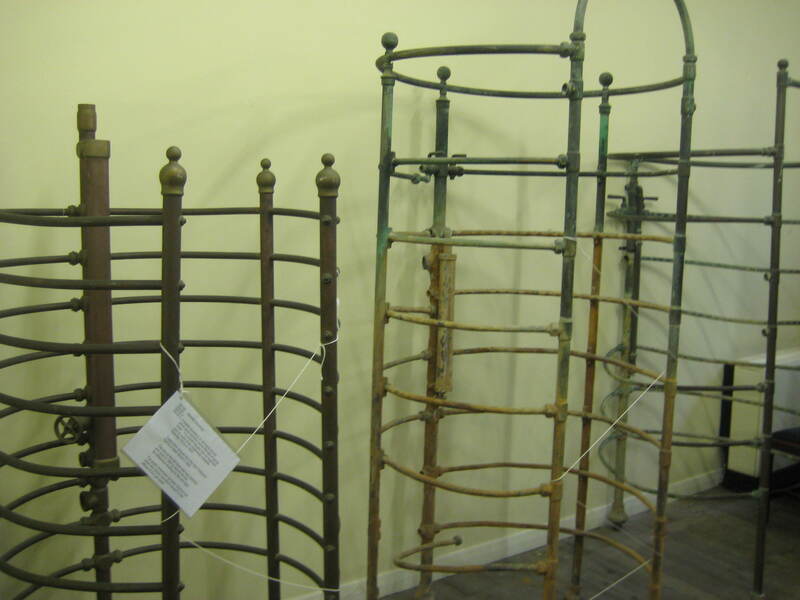 A series of pipes at the bottom supplied the spring water at high pressure. 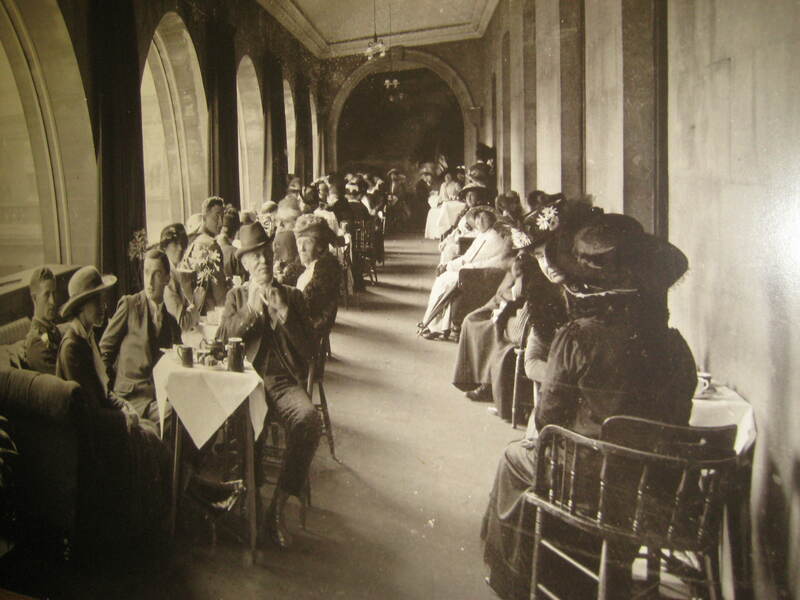 and a picture of Edwardians enjoying tea in the old terrace cafe beside the Great Bath.